Overdrive reports that the Bajaj Qute will be launched in India on 18 April. This in line with an earlier report that stated the company will roll out the country's first quadricycle in 22 states by the end of April. The Bajaj Qute is made at Bajaj Auto's facility in Aurangabad. Currently, the company has an annual production capacity of 60,000 units for the Qute. This can be boosted by utilising the production lines of the three-wheeler models if required. The Bajaj Qute was unveiled in September 2015 and has been on sale in various Latin American, European and African markets. Its Indian launch has been delayed as the quadricycle could obtain the necessary approvals from the Ministry of Road Transport and Highways (MoRTH) only in June 2018. Powering the Bajaj Qute is a 216 cc single-cylinder, liquid-cooled DTSi engine that pumps out a maximum power of 13.1 hp at 5,500 rpm and a peak torque of 18.9 Nm at 4,000 rpm when running on petrol. On CNG, the motor outputs 10.9 hp at 5,500 rpm and 16.1 Nm at 4,000 rpm. It comes mated to a five-speed sequential manual transmission. 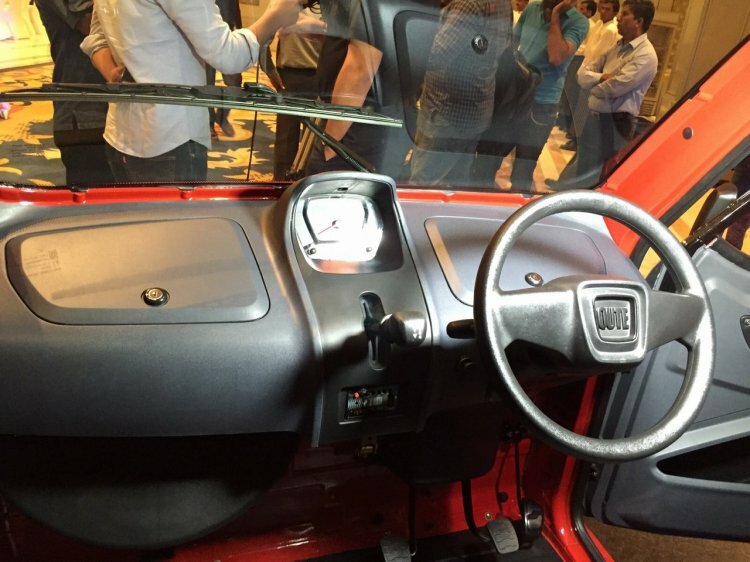 The Bajaj Qute features fibre doors instead of metal ones to ensure a low weight. It features drum brakes on all wheels, and the interior is devoid of basic necessities like an aircon. The company claims that the CNG variant of the quadricycle has a running cost of only INR 1.53/km, which is lower than that of a motorcycle. While the CNG version has a claimed fuel efficiency of 43 km/kg, the petrol version is said to offer 35 km/l. 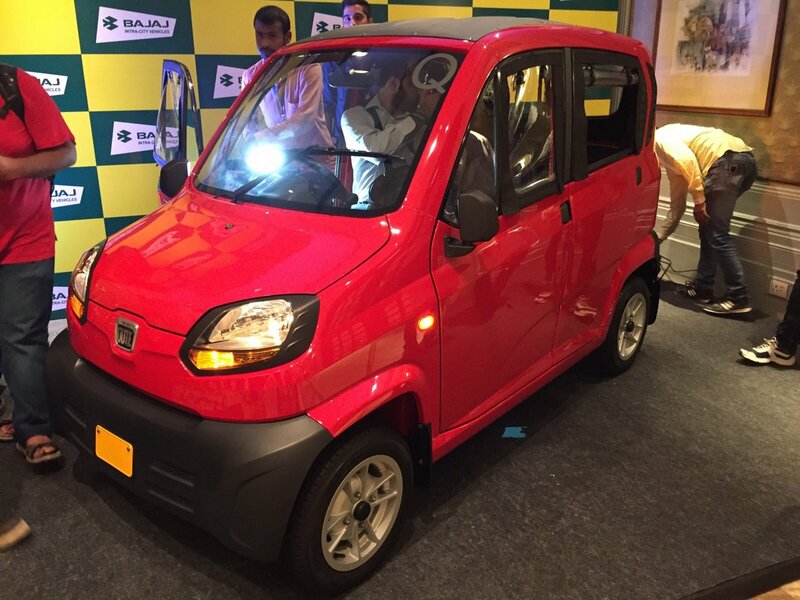 Bajaj Auto claims that the Qute complies with the European safety regulations for quadricycles. That said, its top speed has been electronically limited to 70 km/h. The company even advises the users to avoid using the quadricycle on an expressway.